“The dream of two brothers”, this is how Trattoria Loludà, a cosy restaurant in the heart of Sassari, the second-largest of Sardinia, with few tables likes to define itself, where a simple but exciting cuisine that constantly dialogues with the land and seasons comes to life every day. Loludà’s freshly-cooked dishes are strictly made with fresh ingredients from the Sardinian territory. 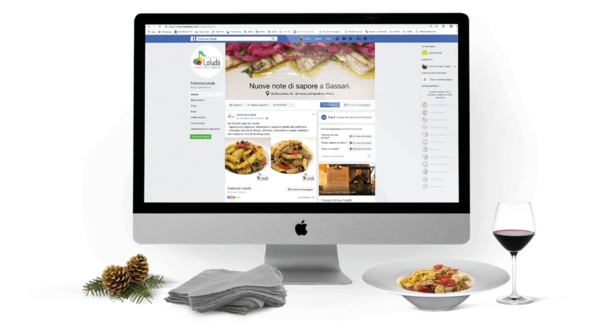 Our social media marketing project on Facebook therefore aims to enhance these characteristics by developing “real time marketing” posts, from our agency to the kitchens in Sassari.